A DNA test kit for siblings compares the DNA of 2 people to determine the likelihood that they are siblings. In most cases, sibling DNA tests are conducted to determine paternity, or whether the 2 people share a biological father. In a smaller number of cases, they are conducted to determine maternity, or whether the 2 people share a biological mother. In the event the suspected father or mother is unavailable for a paternity or maternity test, a sibling DNA test is the only realistic way to determine whether 2 people are siblings. Do Siblings Have the Same DNA? The short answer is no. Two closely related individuals, such as a brother and sister, can have similar DNA, but the odds of having the same DNA as someone other than an identical twin are roughly 1 in 70 trillion. 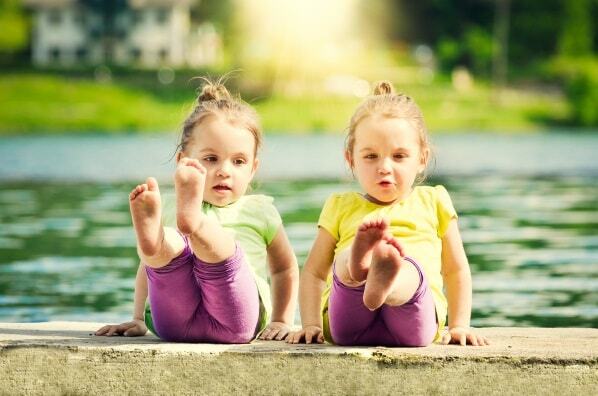 According to recent studies, even identical twins share very similar, but not identical, genes. Every child inherits half of their DNA from their mother, through the egg, and half of their DNA from their father, through the sperm. But when sperm or eggs are created, the cells undergo a process called genetic recombination which sees the number of chromosomes halve from 46 to 23. When an egg is fertilized by a sperm, they combine to form a new package of 46 chromosomes. As a result, the DNA one child inherits from their mother and father differs from the DNA their sibling inherits from their mother and father. On average, a pair of siblings share about 50 percent of the same DNA. How Much DNA do Siblings Share? On average, siblings share around half the same DNA, but the real figure is different for every sibling pairing. The more diverse their recent ancestors, the less DNA 2 siblings are likely to share. For example, 2 siblings with grandparents who were biracial or who came from different parts of the world would have a greater variety of potential genetic combinations. As a result, it is likely they would share a smaller percentage of their DNA. Two siblings whose grandparents all had the same ethnicity or who all came from the same part of the globe would be likely to share a relatively high proportion of DNA. Can DNA Testing Prove Sibling Relationship? No DNA test can prove with 100% certainty that 2 people are siblings or otherwise related, but what they can determine is the likelihood. Good sibling DNA tests compare 2 people based on at least 700,000 markers and are able to prove more than a 99% likelihood of the 2 being siblings, putting the matter beyond reasonable doubt. How Accurate Are Sibling DNA Tests? Without getting into too much detail, a person has a 50% chance of getting the same gene locus from each parent, so you and your sibling have a 25% chance of getting the same matching locus combination from your parents. Thanks to improved testing methods that compare DNA between 2 individuals by more than 700,000 markers, sibling relationship can be proved with up to around 99.9% certainty. A detailed description of what DNA testing accuracy means can be found here. Can I Find Lost Siblings with the Test? How? If you’ve made contact with a potential sibling, then all that needs to be done to prove the sibling relationship is for both of you to take a DNA test. If you’re hoping to find a long-lost sibling but haven’t found them, then taking a DNA test is a long shot—and success may depend on whether that sibling’s DNA data sits in the same database. Ancestry has the world’s largest DNA database, with more than 5 million people. 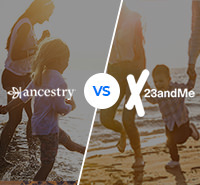 Therefore, the chances of finding a sibling in Ancestry’s database depend on whether or not a long-lost sibling happens to be among those 5 million people. Fortunately, a DNA test isn’t the only way to discover a potential sibling. Ancestry, MyHeritage and others offer family tree builders that can help you discover relatives the old-fashioned way—through discovering a common link in the family tree. There are many stories out there of reunited siblings, such as the one last year of 2 Norwegians who discovered they were half siblings thanks to MyHeritage’s smart match. So Where Can You Buy a Kit? 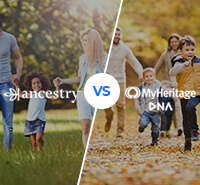 Everyone who takes a MyHeritage DNA test or uploads their DNA data to MyHeritage receives a list of DNA matches from MyHeritage’s database of more than 1 million people. If 2 people wish to prove they are siblings, all they need to do is use MyHeritage’s DNA service to see if they’re a match. MyHeritage can deliver close to 100% accuracy for a sibling relationship and around 93% accuracy for distant relatives like fourth cousins. 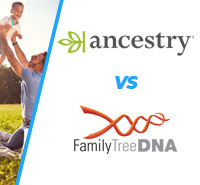 Everyone who takes an Ancestry DNA test or uploads their DNA data to the Ancestry system can see a list of DNA matches from Ancestry’s database, which is the world’s largest with more than 5 million people. Sibling relationships can be proved at close to 100% accuracy, or beyond reasonable doubt. Anyone can take a LivingDNA test or upload data from other tests to see who they match with in the LivingDNA database. This is the only DNA kit that has a basic package with motherline, fatherline, and distant relatives included. FamilyTreeDNA is the international testing partner for National Geographic’s Genographic Project. 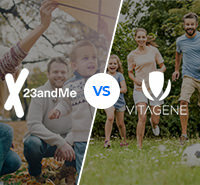 It offers a number of ways to see if your DNA matches with a potential sibling or relative, including uploading of existing data or a new Y-DNA or mtDNA test. Tremendous gains have been made in DNA testing in recent years, bringing us to the point where 2 people can prove with almost complete certainty whether or not they are siblings. Likewise, the availability of DNA testing has improved to the point where any 2 people can discover if they're related within a month or so, for less than $100, and all with a cheek swab or a bit of saliva.